The Arno River winds its way from the source in the Apennine Mountains westward to the Tyrrhenian Sea near Pisa. In Florence numerous bridges span it, the most notable and oldest being the Ponte Vecchio or “Old Bridge”. The bridge’s origin dates prior to 966 and during much of the early days butchers occupied shops on both sides of the bridge. 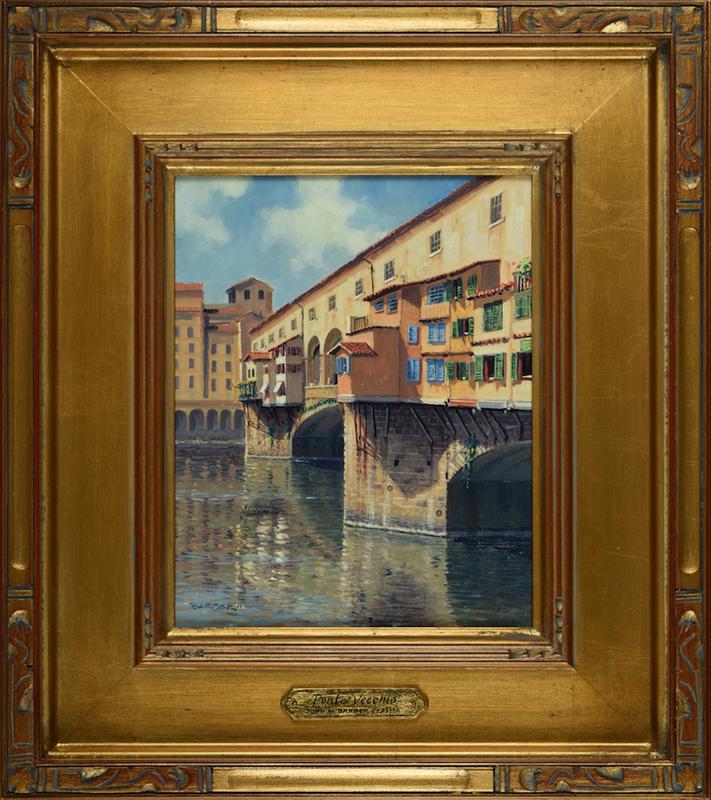 Today Ponte Vecchio is lined with the finest of jewelers and art merchants. I took a position along the river’s north shore near the Uffizi Gallery – one of the world’s premier repositories of fine art featuring priceless works by Leonardo Da Vinci, Michelangelo, Rembrandt, Botticelli, and many others. During the five-hour painting session, I enjoyed the interaction with passersby who were free to share their words of encouragement in languages from near and far. 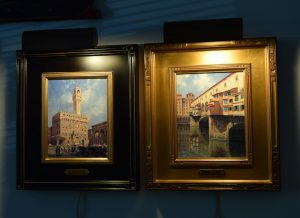 The painting is beautifully finished with a House of Troy picture light.